Looking for SA black plastic grips. Re: Looking for SA black plastic grips. Let me look I think I have a set. I think your getting harder to please now Jason. I have light wood SA, dark wood SA and black plastic without logo. Hope Jon has what you want. I was shooting with these cheap plastic grips this evening and even though they’re not a grippy as the sharkskins many of us like (in fact far from it), the SA plastic ones are thinner. And I’m discovering that perhaps I like (or at the very least should try) some thinner grips. They seem to let me get my smaller hands around the grip frame a little better. Certainly allows my hand to get on to the back of the gun how I want it. The thinnest set of grips I've ever seen for a 1911 came off a Ruger 22/45. You can see them near the bottom right in picture. I don't think they wanted to waste much money on wood. You should try a set of them sometime if smaller is better for you. 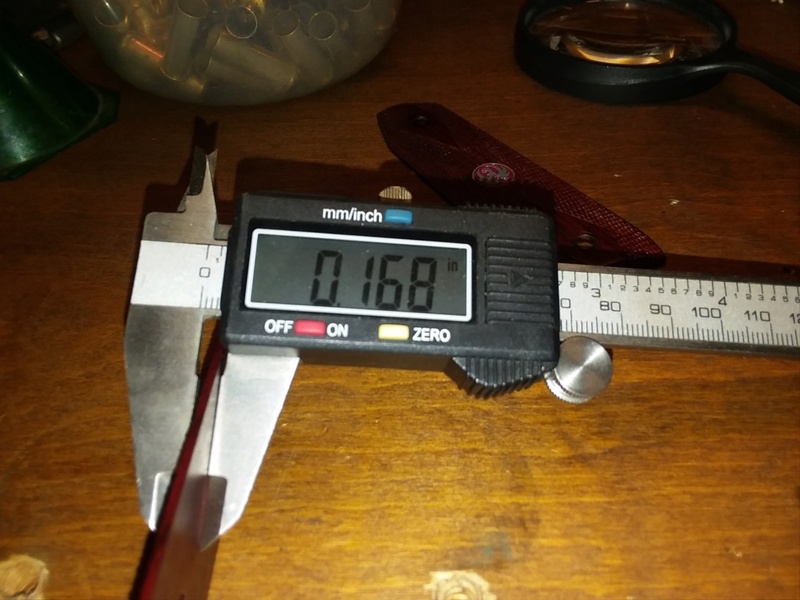 My 1911 grips are 0.085". Thinnest that I could find. Ruger grips are not as thin as Joel found. But still pretty thin. LenV wrote: The thinnest set of grips I've ever seen for a 1911 came off a Ruger 22/45. You can see them near the bottom right in picture. I don't think they wanted to waste much money on wood. You should try a set of them sometime if smaller is better for you. If I remember correctly, Herrett Stocks. 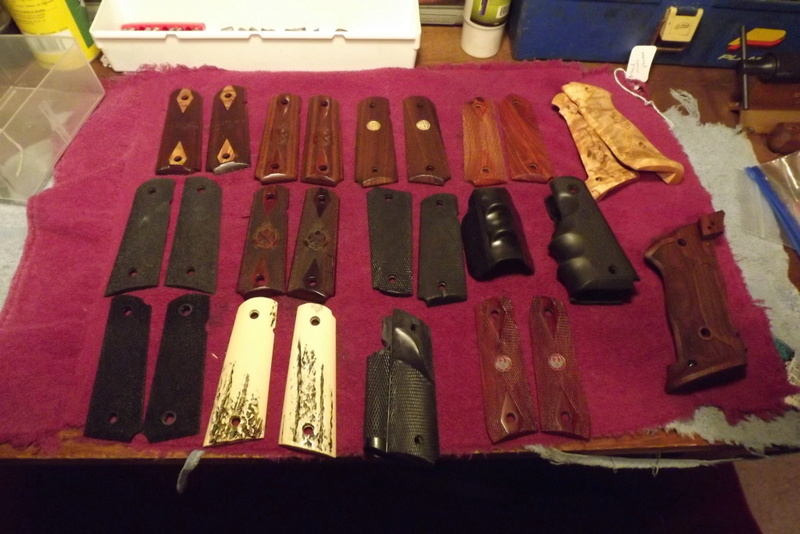 (http://www.herrettstocks.com) will make a set of custom grips as thin as you want, within reason. It just takes a little more time, and $$.